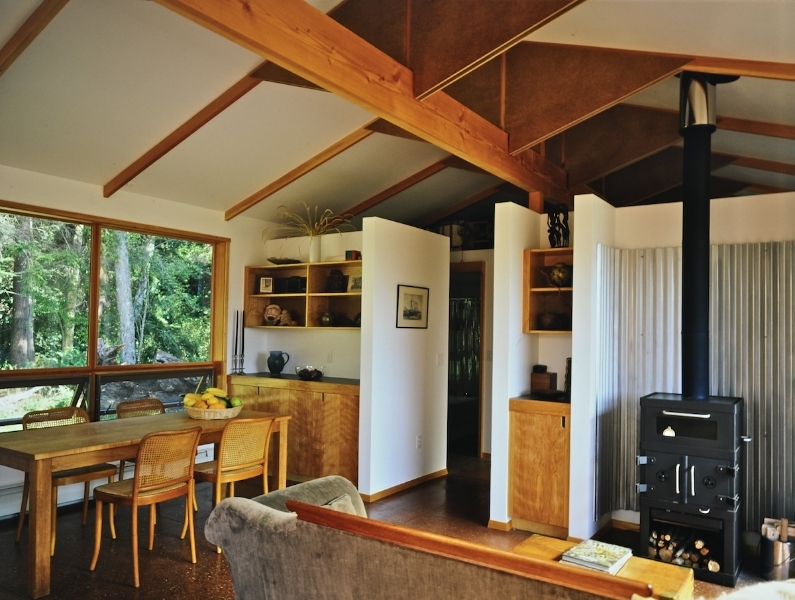 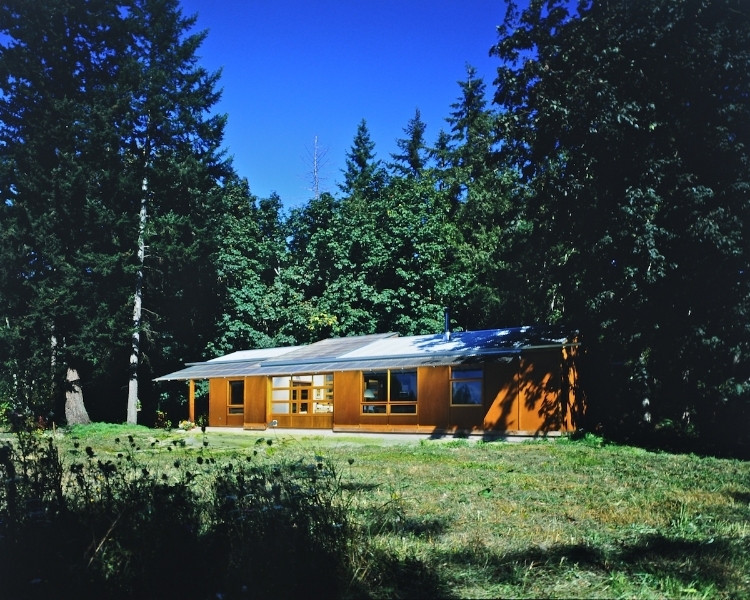 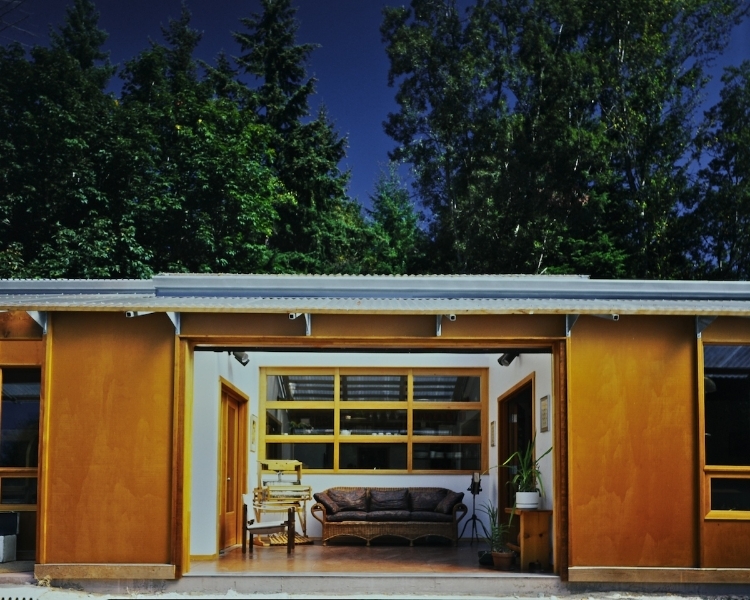 Located on the edge of a small ravine on Camano Island, this passive solar house displays economy in plan and section as well as the efficient use of materials. 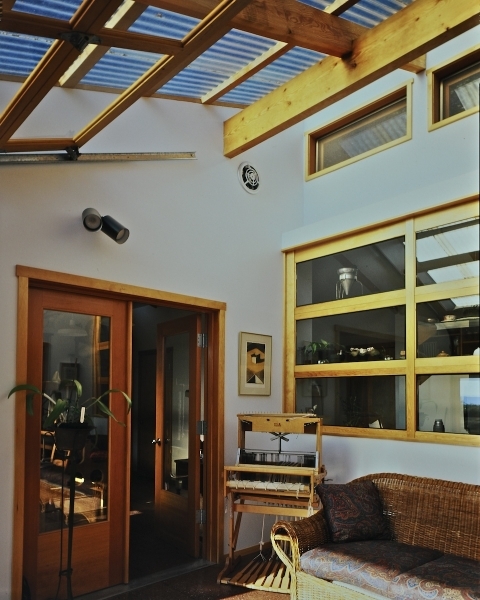 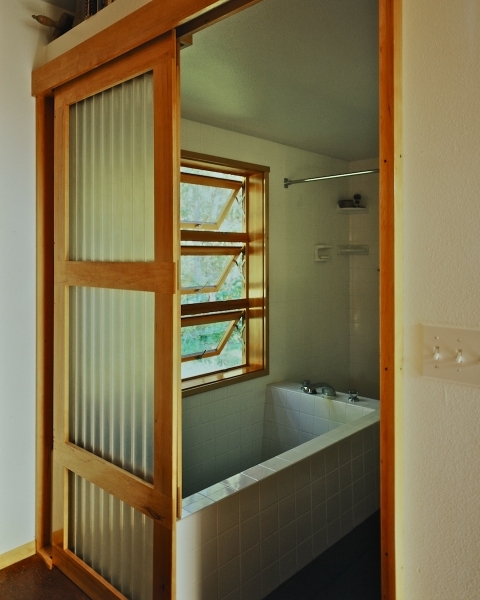 A skylighted entry and indoor/outdoor sun room divides the house into three sections: living/dining/bedroom; kitchen; and weaving studio.The four foot module is reflected both outside and in through the use of battens and floor divisions. 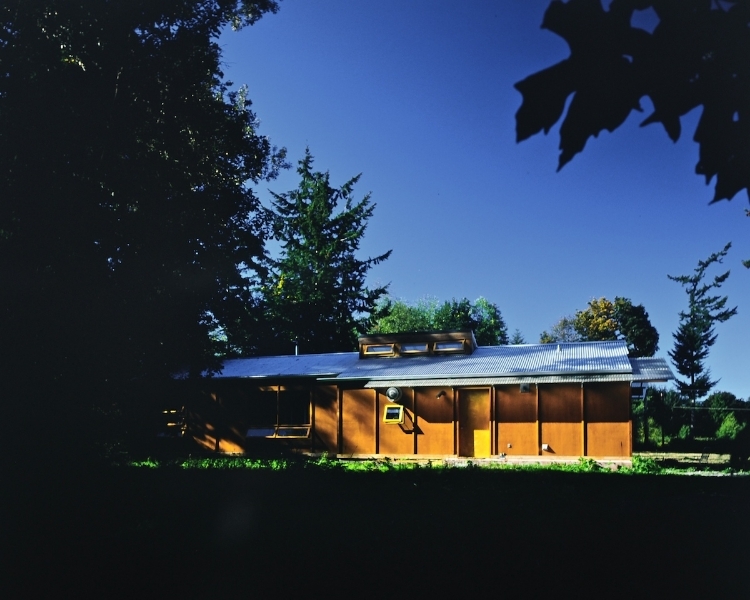 The simple modular scheme is designed to work with the natural elements of the Pacific Northwest. 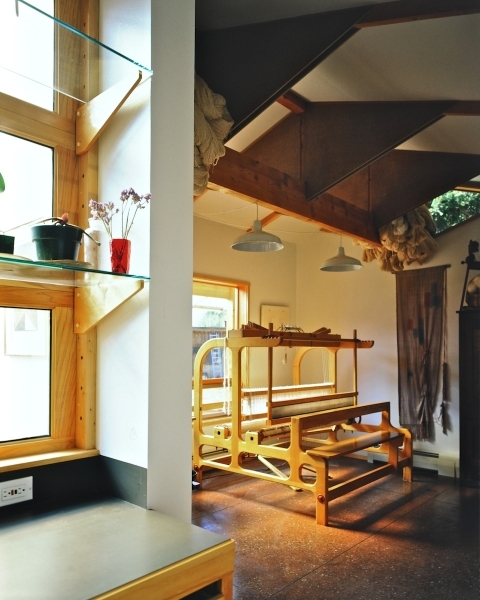 Heat generated in the untempered sun room is recovered and circulated into the living spaces. 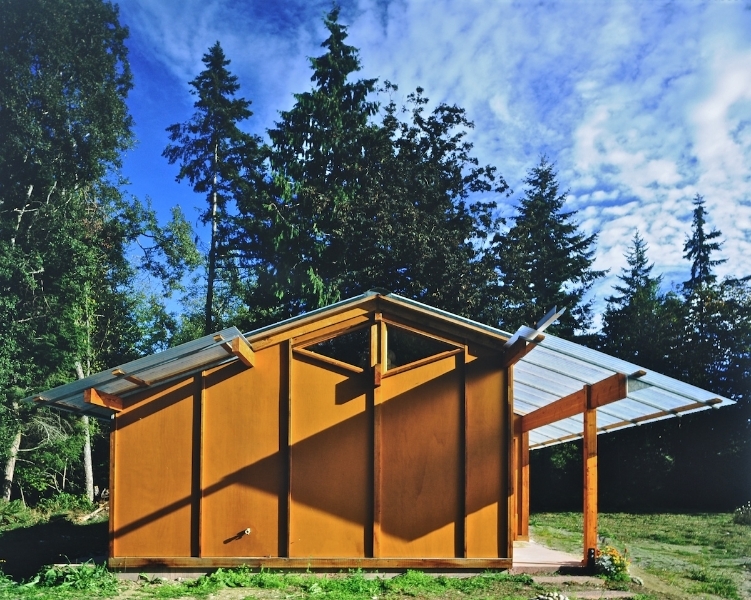 Exterior materials includes MDO plywood and cedar battens, wood windows and garage doors, corrugated metal roofing and translucent panels. 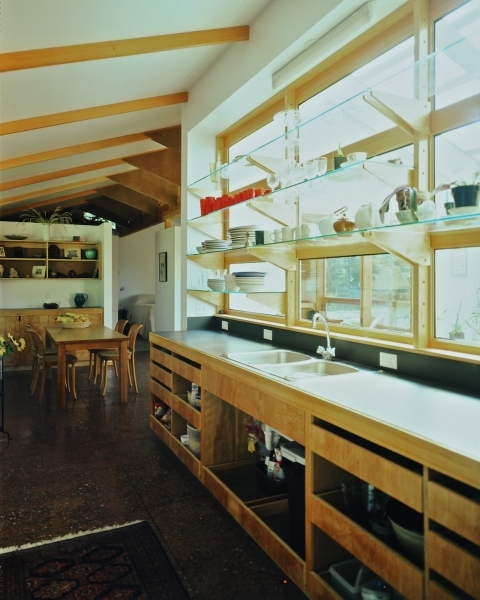 Inside the floors are ground and polished, the walls and ceiling are painted GWB with exposed wood structure.